A Sour Note - Breaking Israel News | Latest News. Biblical Perspective. Aside from being a learned rabbi, inspiring leader, charismatic teacher, talented ba’al koreh (Torah reader), and loving father, my husband, Yossela, is the most gifted, creative, and amazing musician I know. So far, music has been a hobby for him; he plays when he takes a break from learning, teaching, working, and parenting. He hears music in his head – what a blessing! He has produced two discs so far of original music and would like to start working on another, of instrumental pieces. He had taken a break from composing for a while, and new software was needed to modernize his music studio, so he started to look on-line. In this business, software and instrumental libraries get updated constantly, and one has to keep up, otherwise the music sounds old, unprofessional, and is incompatible with many parts of the system. Maintaining up-to-date components is essential, but not easy when music isn’t your day job. Yossela researched on the net for months as to which set of professional music string orchestral software he should purchase. After investigating, exploring, examining and inquiring, he decided that one particular product, Cinematic Strings 2, best suited his needs. He wrote to the company, complimenting them on their great music (Alex Wallbank, the head of the company himself is a composer). Alex responded, and he and my husband shared a very pleasant, friendly, and warm email exchange. Yossela wrote to him that he would like to purchase their music library but, being a student, he would greatly appreciate a discount. Alex replied that they do provide “educational discounts,” and put him in touch with a marketing representative. Jack, the CS2 info and marketing representative, responded promptly. He thanked him for his interest in the company and his kind words about Alex’s music. He confirmed that they “certainly do have a student discount… 50% off…” Naturally, my husband, was thrilled! Fifty percent off! Half-price! I am sure that any one of us values a discount, but when you are a student, a father of five, and the sole income earner of the family, this kind of mark down is a major advantage, to say the least. Jack ended his email by asking for some sort of documentation, like a scan of a student ID card, or a class schedule, free receipt, or even an email exchange, verifying that my husband is actually a student. A fair request. My husband scanned his student ID. As he was about to send it over to the company via email, he turned to me and said, “This company is based in Australia. I hope that they aren’t anti-Semitic. What if they see that I’m from Israel, and because of that take away the discount?” He concluded that it shouldn’t stop him. All was for the best. He sent it, waited, and hoped. My husband made aliya with his parents when he was just five years old. He has lived here almost all his life. Before 2009, he had never been outside of Israel. Since then, he has traveled to the States for work quite a bit and has been around different parts of the US – all with his kippa. Yet, he had never experienced anti-Semitism before. In fact, this was his first real encounter with anti-semitism in all his 36 years. This letter, as cordial sounding as it possibly can be, is a rejection based on the fact that my husband is a Jew and Israeli citizen. It is infuriating! It shows not only how effective and efficient the Arab nations have become at PR, but also demonstrates, once again, how pervasive anti-Israel and anti-Jewish propaganda really is. Many companies and individual people, including famous actors and self-hating Jews, have been brainwashed to believe lies about Israel. Each time, the names are different but the message is the same. Instead of fighting true evil, discrimination, violence, and immorality, prevalent in dozens of countries around the globe (Syria, Sudan, and Somalia, to name a few) it’s easier to join the BDS movement and pick on the Jews. Like music software, anti-Semitic and anti-Israel propaganda is continually growing and updating itself. Those who hate us are busy revising their strategies and coming out with new ways of boycotting, banning, outlawing, and restricting the Jewish state. Their hatred permeates both the public and private spheres. Israel needs more positive publicity. The world should know the truth. Alex and those like him require an update or perhaps a reboot of their whole system. Their entire outlook is faulty and based on complete fabrications. Gam zu l’tova; this, too, is for the best. The truth is, who would want to support a company with such misguided and false notions to begin with? There are so many ways one could respond to Alex’s email. One might choose to refrain from answering at all. Or, one could write a blog. Editor’s Note: Cinematic Strings released a statement in response to this article regarding their withdrawn support to the BDS Movement which can be found here. 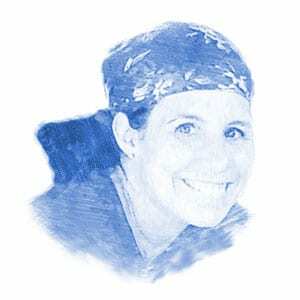 Atira Ote is a passionate wife of a rabbi, mother of five, artist and translator currently living in Jerusalem. She has translated the books Halachot of Prayer and Halachot of Prayer for Women by Rav Eliezer Melamed and sings with her husband on “Vayhi Or,” their CD of original Jewish songs.